Hello! 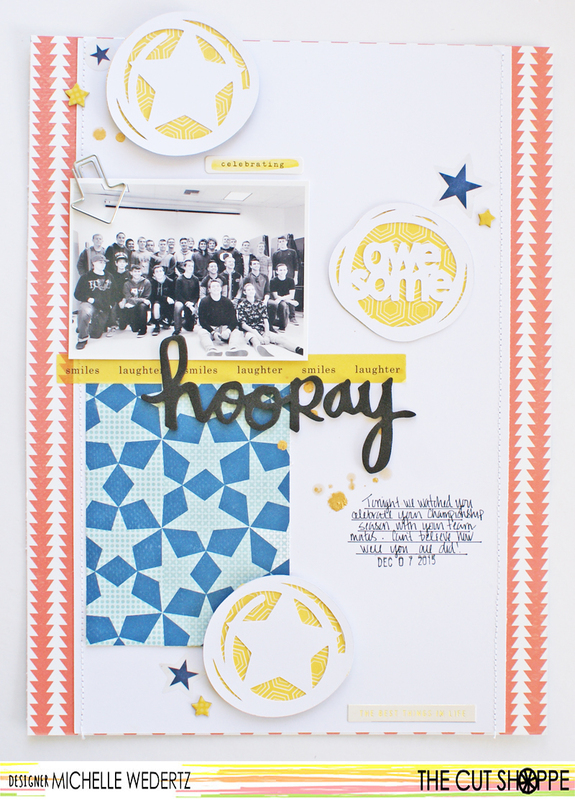 Today I want to share with you my latest layout using some of the new cut files from The Cut Shoppe! Scrapbooking my teenager can be a little tricky sometimes--he's definitely no longer in the cute little boy stage and I struggle a little when it comes to finding both products and designs that are more reflective of his present age. 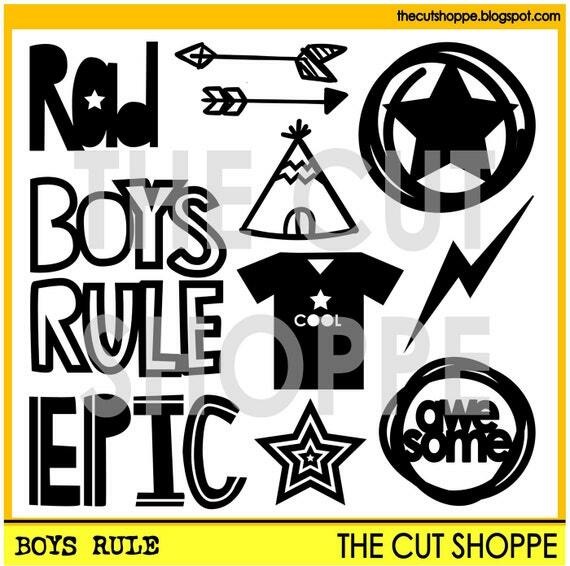 When the Boys Rule cut file was released, I was so happy to have some super cool designs to use for layouts about my son. The set is definitely versatile and I love that the motifs aren't too age specific. One technique that I haven't really done too much with is backing my cut files with patterned paper and that was something I wanted to try with this layout. 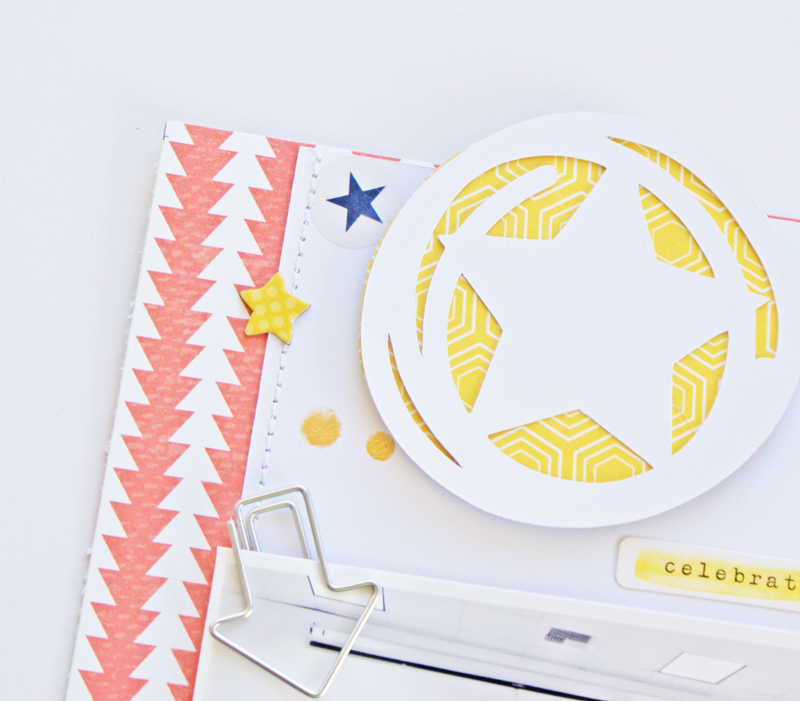 I used three circles, backed them with a bright yellow patterned paper, and placed them around the layout in a classic triangle configuration-one by the photo, one by the title, and one by the journaling. 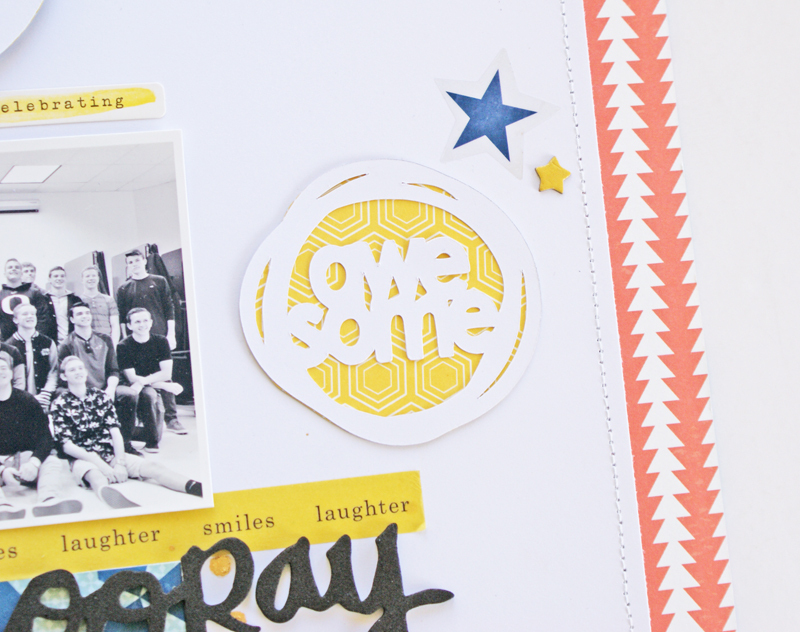 The fun cut files move the eye around to all the important elements on my page. As I was finishing this layout, I thought of another way I could use these on page and I am already itching to get this idea down on paper! Love it when inspiration comes so quickly :). Now, if I can just get this guy to stop being so busy and let me take some more pictures!